The fall garden has been planted and is now showing signs of veggies for later this season. In this bed, I've planted sugar snaps peas, kale and swiss chard. 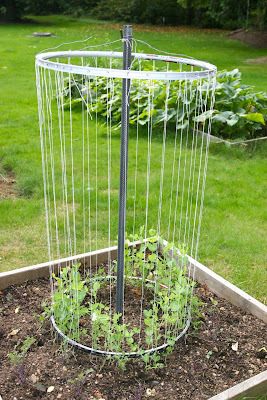 To build the trellis for the peas, I used two old tire rims that the local bicycle shop was more than happy to give me. Now if I can just keep the rabbits and slugs out the the gardens, I just might have a few peas and leafy greens this fall! 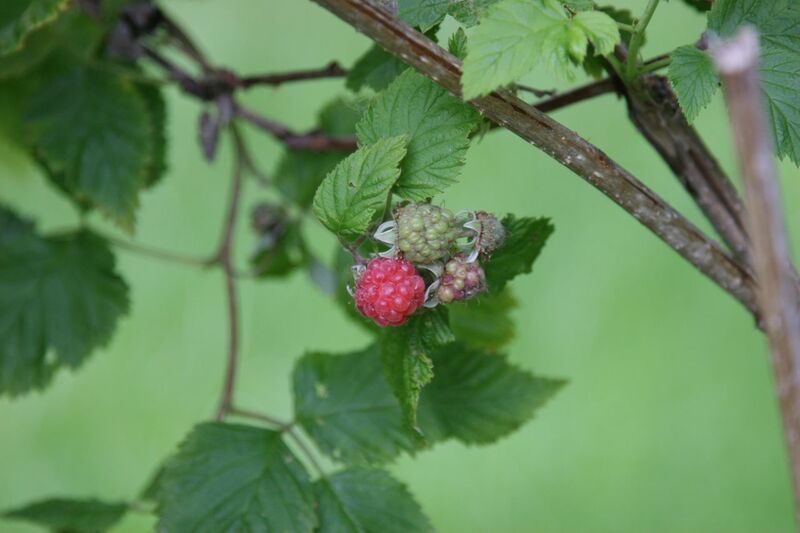 I'm also delighted that the fall Caroline raspberries are ripening. Hoping for just a little more sun to help the berries out. It really is a fun to have these sweet treats in the fall. Hope all your vegies grow well. 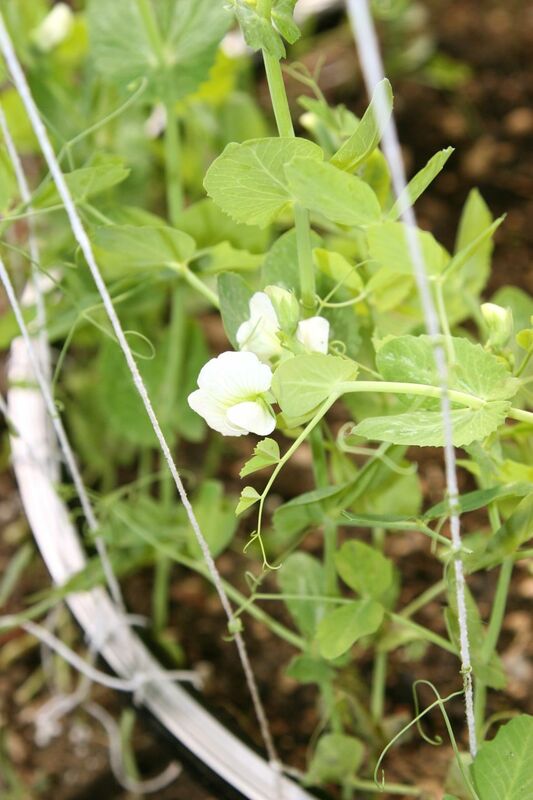 Love the solution you have created for your snap peas. it's like spring there with peas and berries! How wondeful. For slugs you can use sandpaper on the edges of your garden box! Nice! I'll give it a try. Thanks Diana! 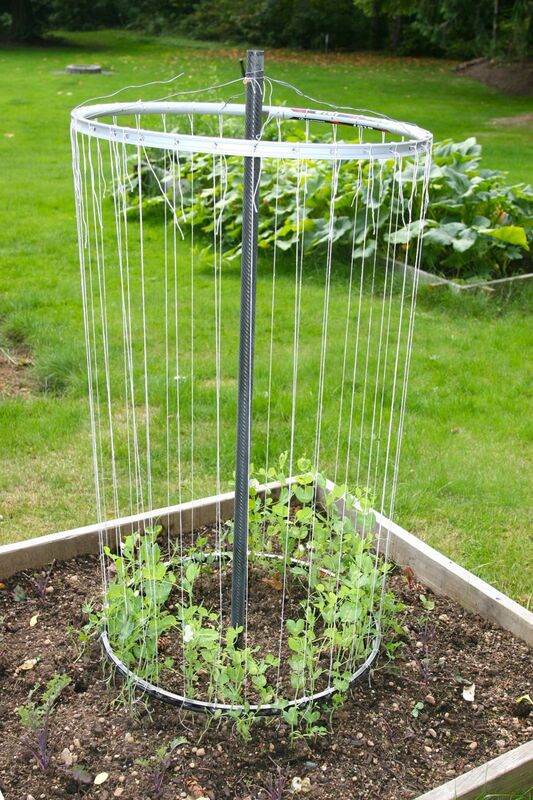 would this work for green beans also? Yes Chris, this will work for green beans. I like to plant snap peas in the early spring and then when I'm done harvesting the peas, I plant the beans. The beans love the nitrogen that the peas released into the soil. Good luck!